Marriages are currently more fragile than they were in old days across world cultures and religions. Divorce rates are ever increasing. This has resulted into social unrest, economic setback, sexually transmitted diseases, and failure to raise children in love and peace. Ever-changing lifestyles are the main cause of divorces. 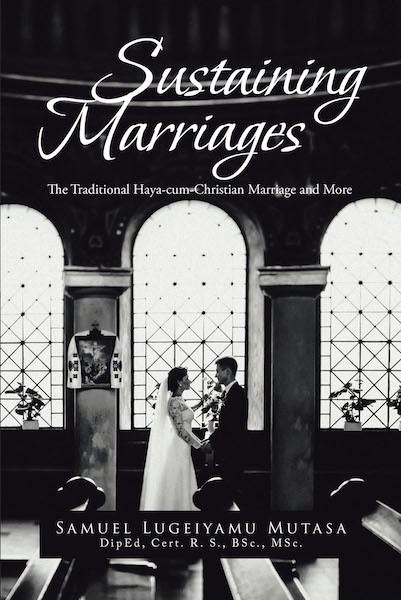 Formerly, marriages were based on knowledge of the families of the bride- and groom-to-be, true love between the couple, holding to vows made at wedding ceremonies, getting advice from family members, and revisiting holy books' verses for guidance. Bible, Qur'an, Torah, Vedas verses on marriage and divorce were the main references. Some cultures merged their marriage customs with Christianity. This is exemplified by Haya of Tanzania. Details for sustaining marriages in this regard are well elaborated. Currently, families, communities, and governments throughout the world have noted the disadvantages related to divorces. They are taking action to sustain marriages. Families are becoming involved in pre-marriage arrangements and as advisors for sustaining marriages. Community organizations, religious leaders, and governments are educating pre-married and married couples on sustaining marriages. Individuals are offering messages related to their success or failures in sustaining marriages in social media. We are gradually succeeding.